In true Texan “i’m fixin’ ta do it” fashion, I’m getting my Easter greeting in just under the wire. 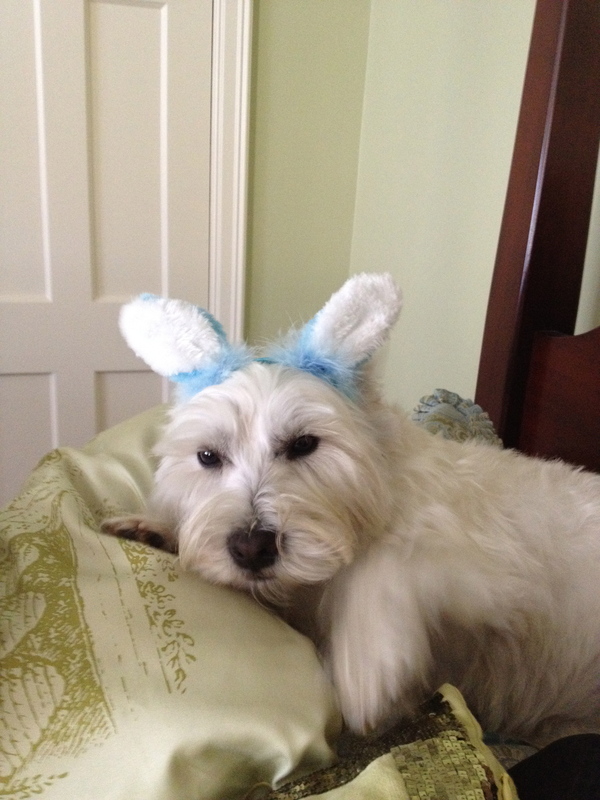 Hope your Easter was happier than the TexPat’s poor puppy. She does not appreciate having to do Easter Bunny duty every year just because she has a button nose and walks on four legs instead of two.